"An expert in the full range of commercial issues concerning landlords and tenants, in addition to real property. She has a niche in matters relating to the agricultural sector. Strengths: 'A very good and gutsy fighter.' 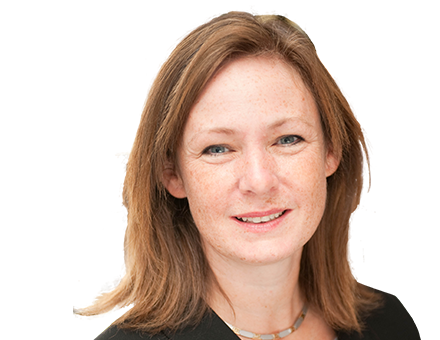 'She is robust at drafting, gives practical advice and is excellent with clients'. Recent work: Followed a case through to appeal which looked at whether breaches by a subtenant which the head lessee did not remedy, were sufficient grounds to grant the forfeiture of the commercial head lease". Chambers UK Guide 2016 (Real Estate Litigation). "Recognised for her technical skill in a broad range of agricultural issues. Her experience includes handling complex succession cases, notices to quit and damages claims. She advises both landlords and tenants. Expertise: 'She is very easy to work with, and is thorough and charming but also ruthless when she needs to be.' 'She is very personable and can convey the case in a very straightforward manner.' Recent work: Acted in a case involving estranged co tenants of a farm". Chambers UK Guide 2016 (Agriculture & Rural Affairs). "Quick in providing advice and excellent with clients". Legal 500 2015. "Mainly acts in agricultural, commercial landlord and tenant and real property disputes. She is recognised as being an effective and committed advocate. Expertise: 'She is a realistic advocate, who is efficient in the way she puts her points. She's well prepared and knows her stuff.' 'Highly intelligent, she is easy to deal with, very forthright and very clear in her advice.' Recent work: Represented a defendant through to a successful mediation in a terminal dilapidations claim arising from an assigned interest in a commercial property." Chambers UK 2015 (Real Estate Litigation).